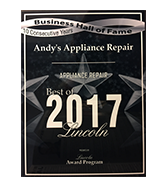 Andy’s Appliance Repair & Parts House is factory-trained and authorized to provide affordable Magic Chef appliance repair to the folks of Lincoln and surrounding communities. We keep our skills sharp and up to date with additional training. If you are in need of domestic appliance repair on appliances like ovens, ice makers, dishwashers, fridges, washing machines, dryers, and more, Andy’s Appliance Repair represents an ideal blend of quality and value. We don’t charge you an arm and a leg to get the job done the right way. 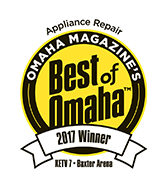 We’ve been serving Omaha, Lincoln and everything in between and beyond with quality kitchen and laundry appliance repair for over 45 years, so it’s safe to say we have an understanding of what this industry demands. You can schedule your appointment online and we will come out to you within the same day if not the next! Magic Chef began in the 1850 in St. Louis. The Magic Chef brand name was first introduced in 1929 and having been such a dominant name in the oven and stove industry, the American Stove Company officially change its name to Magic Chef in 1951. Magic Chef has been bought and sold a number of times including to Maytag and Whirlpool and today is owned by MCA since 2010. MCA purchased the Magic Chef name from Whirlpool Corporation when it saw the the significant potential in the brand and the emotional connection it had with consumers. Today, the Magic chef brand is experiencing a reinvigoration in terms of product development, marketing initiatives and connection with its consumers. 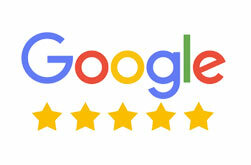 It is built on the pillars of “”easy everything”, “everyday dependability” “accessible customer service”. Simply put, Magic Chef is committed to making products that are dependable and convenient. Today Magic Chef offers a comprehensive kitchen and laundry appliance product line. These include one of the largest selections of compact and top mounted refrigerators ranging in size from 1.7 cubic feet to 11.5 cubic feet in black, white or stainless steel and chest and upright freezers. Microwaves,compact ice makers and counter-top dishwasher, small gas and electric ranges, wall oven and range, gas and electric cook tops. We are dedicated to finding you a quick, affordable appliance repair solution so that you can get your life together. You see, we understand that when the kids need clean cloths for school and the washing machine isn’t working or you have some friends coming over and your refrigerator isn’t working can really cause problems for a families busy schedule. We are certified in all brands, all models of residential appliance repair. 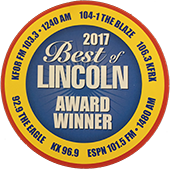 So, when your Avanti dishwasher, Kenmore refrigerator or Magic Chef gas cook top isn’t working and you don’t know what to do, give Andy’s a call and let our certified technician to get you backup and going.